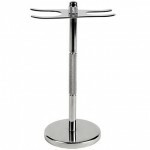 This Stainless Steel stand is a must for storing all standard razors and brushes. It stands at 7 inches tall and is more than just a display piece! The most important thing you can do to ensure brush longevity is to dry the brush with the bristles facing down in a stand. 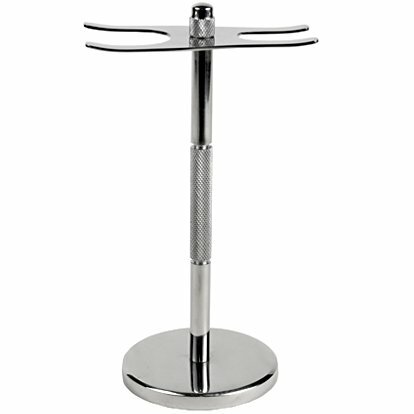 This stand will ensure proper razor and brush storage! • Fits all standard safety Razors and Standard size shaving brushes with 20-22mm Brush Knots.